This page will be updated as further information becomes available. This year, students from all three elementary schools will be able to attend FREE OF CHARGE, thanks to the 21st Century grant and the generosity of the Frontier Rotary Club. Monday through Thursday | 8:00 a.m. – 12:15 p.m.
Monday through Thursday | 8:00 a.m. – 12:30 p.m.
Sixth and seventh grade students who have failed one or more core subject areas based on their 2018-2019 fourth quarter grades will be asked to attend Prescott Mile High Middle School’s online Summer School. It will be necessary for your child to show comprehension and goal achievement of core subject knowledge areas before attending the 2019-2020 school year. All parents must complete this form and pay the fee at the school office. The cost is $65 for one course, $100 for two, $150 for three, and $200 for four courses. The deadline to submit this application is Friday, May 17, 2019. Contact Matt Dean at 928-445-2322, ext. 72193, or matt.dean@prescottschools.com for more information. 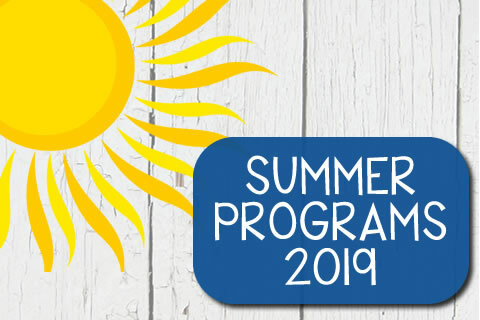 Prescott High School Credit Assistance Summer School allows students to complete multiple half-credit semester-long courses (2 courses or 1.0 credit is recommended) during the month of June of the regular PUSD Summer Break. The program allows students to make up credits or earn additional credits. It is recommended that the course(s) selected are approved by an academic adviser. Students want to make sure they enroll in the courses they need toward graduation. Core classes (English, Math, Science or Social Studies) must be approved by an adviser. The Summer School fee must be paid in the PHS Bookstore. The application, along with the printed receipt from the PHS Bookstore, must be turned in to the PHS Bookstore, PHS Advisement office, or the PHS Credit Assistance Lab (RM 93). $85.00 for 1, half-credit semester-long course. $150.00 for 2, half-credit semester-long courses. $50.00 for each additional half-credit semester-long course over 2. For more information, contact PUSD Food Service at 717-3232.